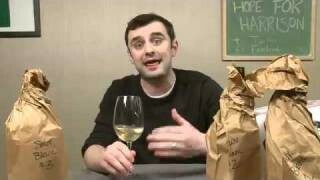 Gary Vaynerchuk tastes with Michael Madrigale of Bar Boulud in New York City and they speak about the wine industry and how Michael became a sommelier. 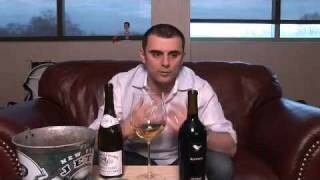 They discuss and taste two wines from Michael’s by the glass program, where he opens up older vintages of large format bottles and charges his cost. Line of the day (one of the best ever). The guest was talking about his ex-girlfriend and I’m sure he didn’t realise the double entendre when he followed up with ‘let’s get lubricated’. Also GV came out with ’10 Crack Commandments’ which I hadn’t heard of before. 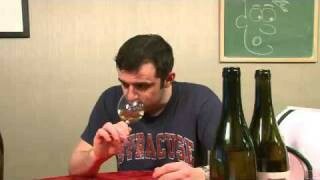 GV & Michael – Such a great show…Michael, the way you talk about wine, is quite inspiring. And as a wine lover, it’s great to see people even more pumped about the grape than you are, just so you have something to strive for with personal interests! QOTD: I think it’s a good thing for the som to taste the wine. Who better to give you a sneek peak into what your about to imbibe! I am all for it! This dude needs to smile more! qotd: its good to not serve bad wine, or to explain it to someone, especially tasting it at the same time, I guess the biggest issue is people don’t realize you taste it if you take it to the back room? Mr. Madrigale, you were fantastic! Gary, you led part of the conversation as a rapid fire style interview, and you both were running at high performance levels! 35 minutes can get to be much for some of our lesser einvolved viewers, but I found this exciting, all the way through. Very nice selections, but then again, your establishment is among the top of the wine game in town, and I love the large format picks, and am always, with one eye out for such things on lists, and in retail. Qotd – I would not be averse to a good somm sampling the wine, particularly higher pedigreed, or priced wines of noble provenance. More modern, culty style (Newer World) ‘names’ might not require such a quality check – their flaws, the typical manufacturing infections, are pretty basic to detect. But well AGED Burgs, Bordeaux or refined, (esp.) 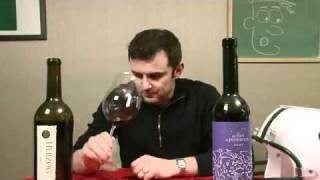 European wines of more noble regions might like to be inspected for proper development, profile, and lack of faults. 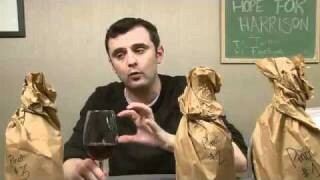 QOTD: Absolutely the sommelier should taste the wine! How else can she or he evaluate whether or not the wine is really off? That said, if the sommelier doesn’t taste the wine, it doesn’t bother me because I feel like I can make the call myself when/if necessary. Such a rad show! Super nerd style, I love it! QOTD: 14 months ago when I first got into wine, I would have most likely been put off by my sommelier tasted the wine, but you soon realize how complicated the world of wine is. 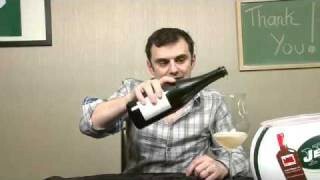 Now days it would make me feel good to see the sommelier tasting what I chose, especially if was a pricy bottle. I would get the sensation that that sommelier stood behind the wines they purchase, cellar and serve. Nice show, like the passion. QOTD – under the right circumstances, I don’t mind. QOTD: I’m with a few others here…7 years ago I might have been a bit annoyed that some dude was stealing a sip of my $100/bottle wine. But now I “get it”. Great passion today. Love Michael’s story. I think if the Sommelier tastes the wine he or she is taking the final step in making sure the quality is right. I work in a restaurant in Toronto, called the Southside and I serve some nice wines and feel that if after seeing the wine as it pours and getting a bit of a sniff, if I tasted it I would resolve any question in the mind of the guest that the wine is at a great state of quality. The guest is King or Queen. Making sure their experience is 100% perfect makes sense to me. QOTD: Totally fine. 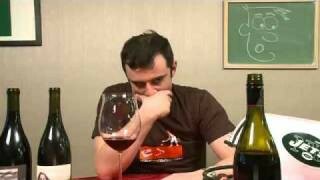 I think the somm should make sure that the wine is okay. That way the consumer has a professional opinion. QOTD: I think that it’s necessary, I think that if you have a sommelier they need to make sure that they can sell you their product with confidence. I’m sure there are those out there that disagree with me but it’s probably because they don’t understand the fickle nature of wine and the business side of being a sommelier. It’s important to be able to put your stamp of approval on the wine you’re serving as a somm. QOTD: i expect a sommelier to taste the wine, and welcome his dipping his toe in the pool first. michael madrigale is a class act and i think the big bottle program is fun / generous / an exciting opportunity for nyc wine geeks. additionally, i really enjoyed the chemistry between gary and michael. i’d like to see more soms on the show. 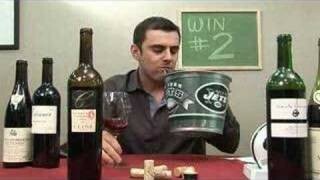 FIRST: GARY, I am deeply saddened by the Jets. 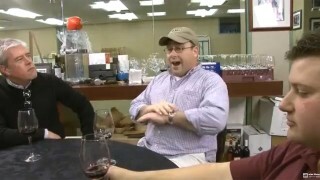 Second: Great episode–please have more with friendly and passionate sommeliers like Michael. Third: QOTD: I am not offended, but I am fine tasting the wine myself. 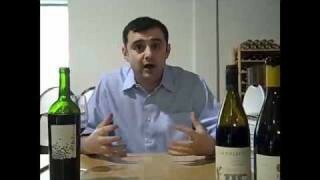 Love this episode – I really like the idea of big bottles that are priced affordably by the glass. I definitely think having more sommeliers as guests is a great idea… that way you get people that are genuinely passionate about wine (and food). QOTD – I don’t mind at all. I do find the Italian way of pouring a tiny bit around the rim of each glass a bit tedious though. Fantastic show and I plan to be in NYC soon. I’ve wanted to eat at one of Daniel’s restaurants for a while. This show has helped me determine which restaurant in which I will be having dinner. QOTD… I have no problem at all with the sommelier tasting my wine. If I trust him/her enough to ask for an opinion or recommendation for selecting a wine, I should trust enough for an honest opinion on the quality. To me it says that a poor quality or corked wine will never land in my glass or ever taint my opinion of the cellar at the establishment.